Aputula (Finke) scoops three Tidy Towns awards! The Central Australian MacDonnell Regional Council desert community township of Aputula (Finke) has done Northern Territory proud and is Australia’s 2018 Heritage and Culture Winner as well as joint winner of the Community Action and Wellbeing category plus the well-deserved ‘Highly Commended’ recipients of the 2018 Australian Tidy Towns Litter Prevention, Waste Management and Resource Recovery Categories. As the Territory’s 2017 Tidiest Town, Aputula (Finke) represented the Northern Territory at the Keep Australia Beautiful, 2018 Australian Tidy Towns Awards in South Australia, at a national gala dinner on Friday 6th April 2018. Aputula (Finke) are the 2018 Australian Heritage & Culture category winners. Aputula (Finke) is also joint Winner of the Australian Community Action & Wellbeing category, plus Highly Commended for Litter Prevention, Waste Management and Resource Recovery actions. Keep Australia Beautiful Council (NT) CEO, Heimo Schober, said that Aputula (Finke) residents have embraced the Territory Tidy Towns program for some years now, with many in the community working hard to create a proud community culture, they proudly represented Northern Territory at the National Australian Awards and then winning these prestigious Australian Awards will certainly put the community on a deserved high for some time. “The township’s strong culture of continuous improvement and community participation helped theMacDonnell community of Aputula (Finke) lead the national competition to win and own thesecategories” said Mr Schober. “MacDonnell Council Staff, Community Elders and residents of Aputula demonstrated great community pride and leadership in community culture and heritage, local sustainability practices and education, and set a wonderful example for other remote Australian townships to follow. 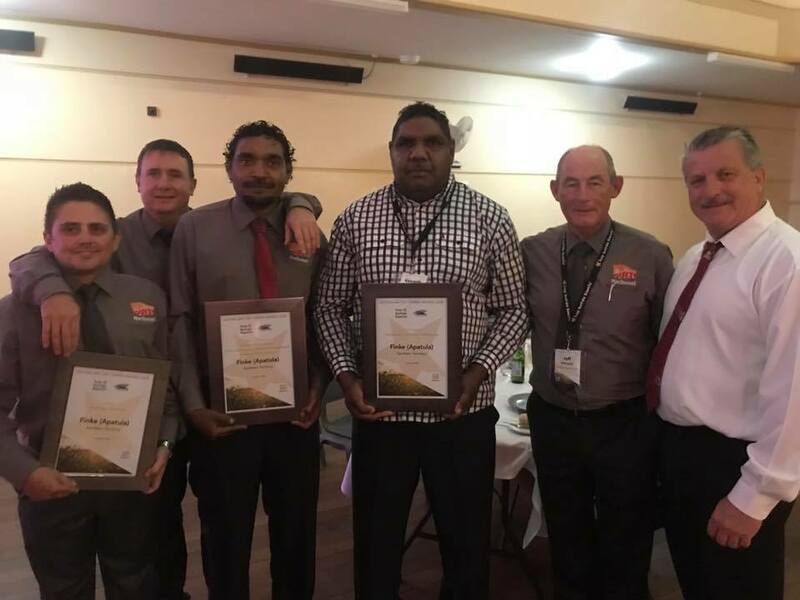 “Aputula (Finke) was the stand-out township last year in promoting local culture and heritage, community participation and keeping their community tidy and beautiful, and I believe they certainly earned their win at the nationals as Australia’s Best in these categories. “2018 is one of the best and greatest national achievements recently obtained by a Northern Territory Community at our Australian Awards. At last year’s Northern Territory Awards ceremony, Aputula (Finke) officially became the ‘Territory’s Tidiest Town’ and Northern Territory’s Finalist after winning the overall NT Award as well as receivingthe Category Award for ‘Best Medium Territory Tidy Towns Community’. The Territory Tidy Towns Awards program recognises and acknowledges the hard work undertaken by remote and regional community groups, schools, individuals, businesses and Councils, and showcases innovative ideas and initiatives that create culture necessary to improve social and environmental development wellbeing and sustainability in regional areas of NT. Congratulations on winning these three awards!